My name is Joyce Barnathan. I think I was in maybe early high school days. I’m trying to remember if it was high school or junior high school. 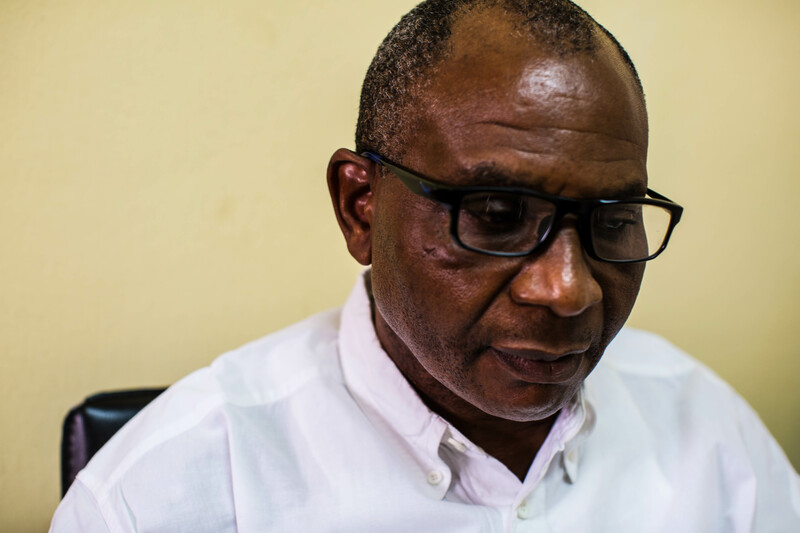 There was a campaign that I recall, free Biafra. 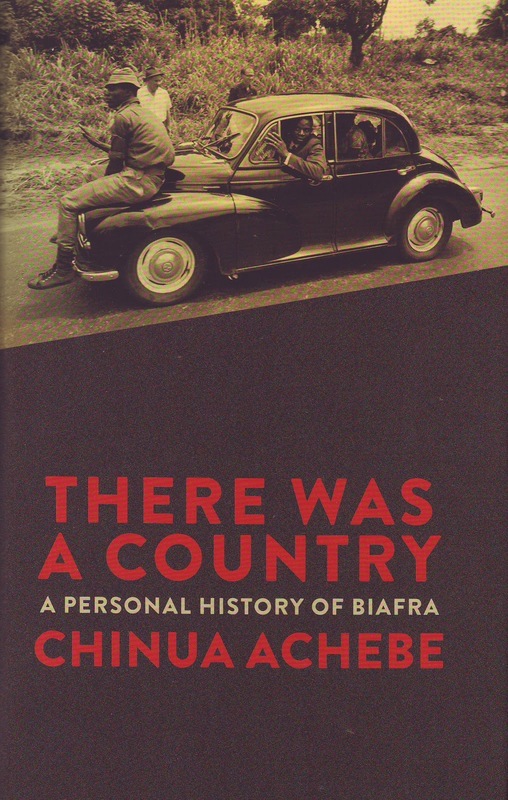 To be perfectly honest at that time I don’t think I understood that Biafra was even in Nigeria. And I just- my recollection as a child is that there were lots of children who were starving because of an unnecessary war, fighting. 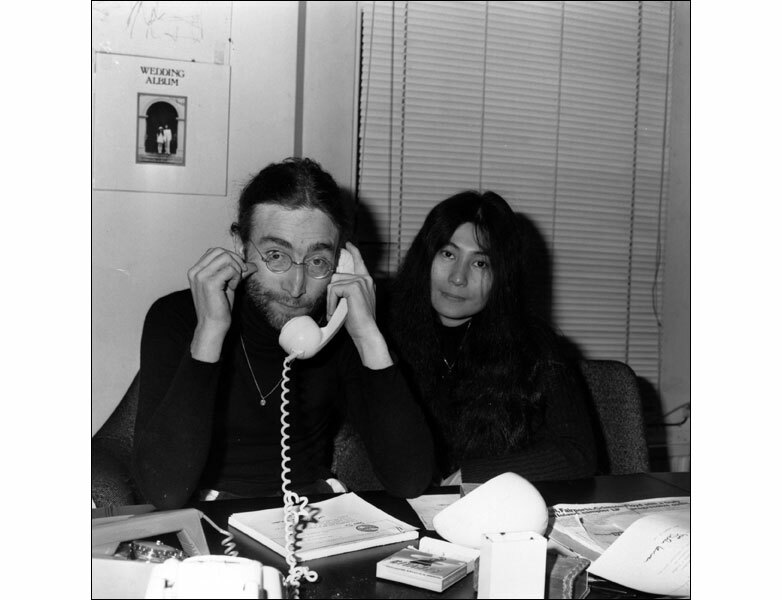 I used to walk around with a little white button with black letters that said “Free Biafra” and we all had them and I mean, this is in New York and we used to wear those buttons. The other image which I can’t seem to locate, but I have this image in my mind of this child, of a painting of an African child and I could be mixing up my memories in here but an African child sort of reminiscent to Edvard Munch’s The Scream and The Scream was done obviously in a different period of history but at a time where you just you were going out of your mind thinking about the horrors of war. And I have this picture of this African child who, you know, the head is exaggerated, crying and that was like the image of Biafra at the time. So as a child- as a teenager I didn’t quite understand what was going on. I just know that it was bad and it was wrong. That was as simple as it got. And you know, when I read this book [Half of a Yellow Sun], it all came to life. You know, people were wearing the buttons. Not everybody. You know, people. 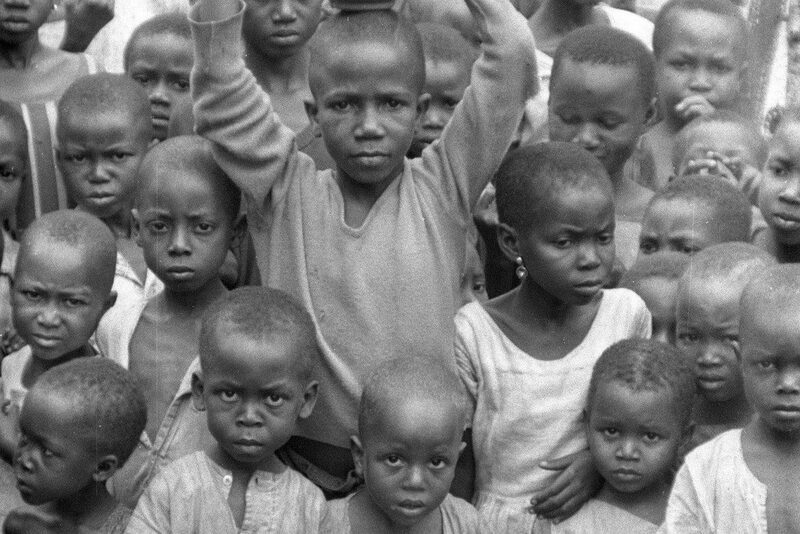 It wasn’t uncommon for kids to have a Free Biafra button at a certain period of time or to have one. I remember them. I don’t think everyone came to school wearing Biafra buttons but there were enough kids that did wear them. 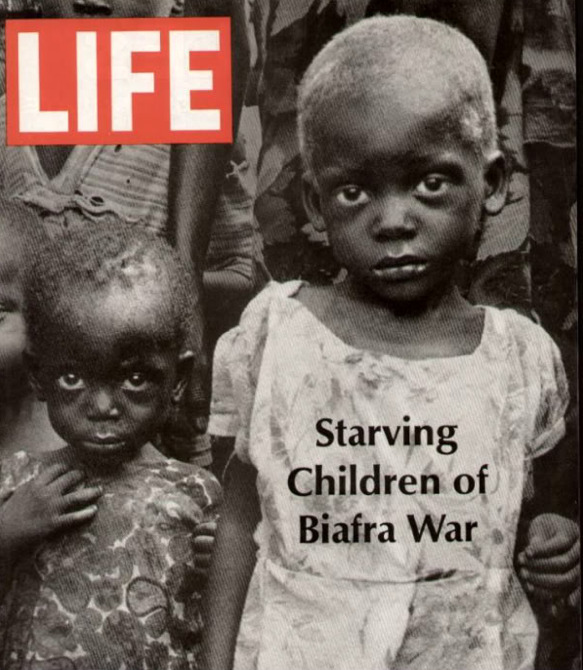 It was definitely in our consciousness that something- that children were starving in Biafra unnecessarily. It was obviously a very tumultuous and difficult time and I did not realize the different tribal strife and religious strife and you know, I didn’t quite understand that it was this secessions movement. They were just a lot of nuances that I just didn’t get. The fact is starving out a population is still horrendous. I was in Long Island at the time. I was in a public school in Long Island. It wasn’t in Manhattan but it was a public school and it was an issue and keep in mind that this was a time –you have to sort of place it- when it was first a movement to try to get African studies into our curriculum. I mean what percentage of the population is African American? There was just not a lot of African American studies going on. Very, very little. If you check here and there it’s not much. The whole movement was beginning, to try to come to terms with our own history. So it was an interesting year. You’re seeing all this stuff. You’re looking at pamphlets. Martin Luther King, Malcolm X and a lot of demand for respect, equality, war, for black Americans and that was surfacing at this time and it was a really tumultuous but very exciting and interesting time to live through, I should say. 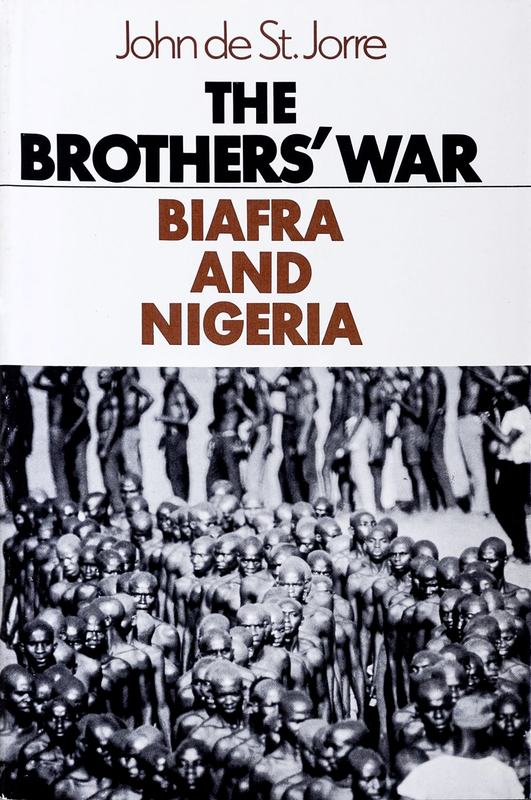 I kind of wish I was a little bit older to understand the ramifications of all that was happening around me, but Biafra was one of them. I think I can probably can find it, the button. I may have to go to my mom’s house and dig through. I never threw it out, you know, I may have it but let me go see. I may even have it here. So let me go see if I can locate it. This is the original pro-Biafra campaign button that Joyce Barnathan wore as a young student living in New York.